Chris Brown And Offset Threaten To Tear Each Other Apart. 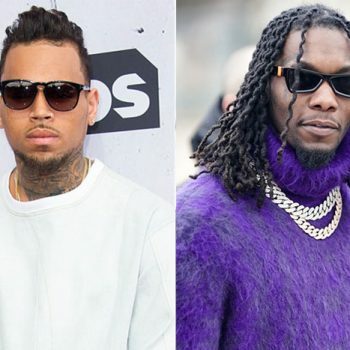 Chris Brown Vs Offset online war of words, goes into deep waters. After posting a meme of 21 Savage following his immigration case, Offset called out Chris Brown for the insensitive post. “Memes ain’t funny lame,” the Migos rapper wrote in the comments.